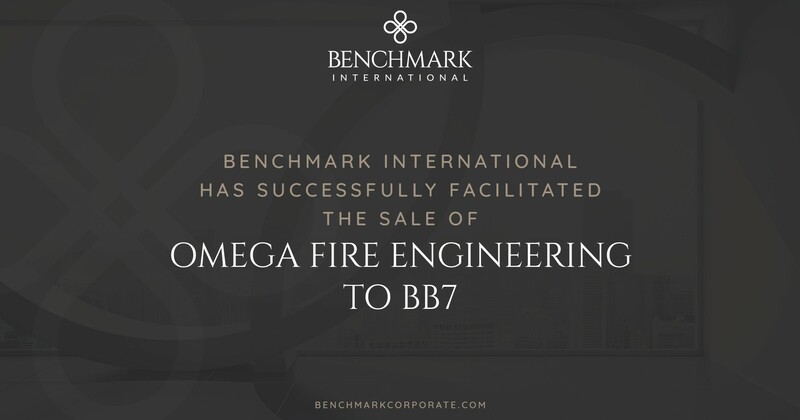 Benchmark International has advised on the transaction between Manchester-based fire engineering consultancy, Omega Fire, and specialist fire consultant firm, BB7, to create the UK’s leading independent fire and security advisory firm. Omega Fire is a fast-growing, highly profitable fire safety property consultancy using computational modelling to assess fire engineering proposals and address potential fire hazards and risks. Founded in 2009, BB7 is a fire safety and security consultancy with eight offices nationwide and 60 expert advisers. It offers three core services to clients: fire engineering, fire risk management, and security consultancy and has a client base of building developers, local authorities, housing associations, and hotel and leisure groups. As such, the two companies complement each other in terms of client spread and services offered allowing the combined entity to continue to build its strong reputation. Following the acquisition, Omega Fire will continue to operate from Manchester and Leeds, and trade as Omega Fire Engineering Limited throughout 2019, and the amalgamation of the two companies will create a firm with just under 100 people and 10 offices nationwide. BB7 has been backed by the Business Growth Fund (BGF), which is the UK and Ireland’s most active investor in growing businesses. The investment from BGF will support BB7’s longer-term growth strategy, providing the capital and experienced resources to accelerate its growth plans. 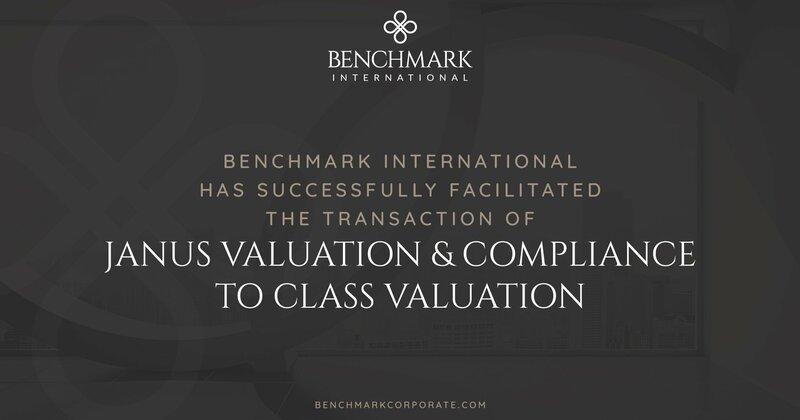 Benchmark International has successfully facilitated the acquisition of Janus Valuation & Compliance (Janus) by Class Valuation (Class). 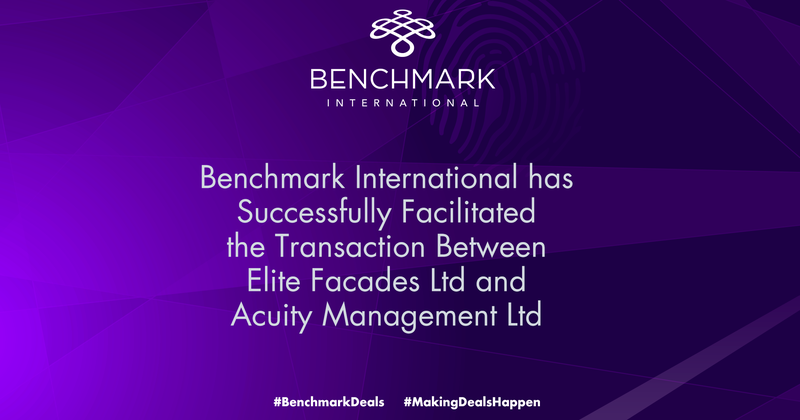 Benchmark International worked effectively with the sellers to ensure that their goals were met from a cultural and corporate vision perspective. Janus is an appraisal management company that offers property valuation services to mortgage lenders, banks and credit unions through its network of appraisers. The company offers a turnkey solution for lenders to complete home appraisals and remain in compliance with all laws and regulations. Class Valuation is a top nationwide real estate collateral valuation and appraisal management company to the residential mortgage industry and is based out of Troy, Michigan. The company has consistently been ranked highly in client service by several of the nation’s top ten mortgage lenders and has been recognized as a top place to work, along with receiving many other industry awards. Benchmark International was able to procure for Janus AMC a buyer that met their goals in regards to the strategic growth of the company as well as the corporate fit amongst the management teams. Janus was engaged with Benchmark International for about a year and a half and was able to procure several interested buyers until Janus found the perfect fit for them. 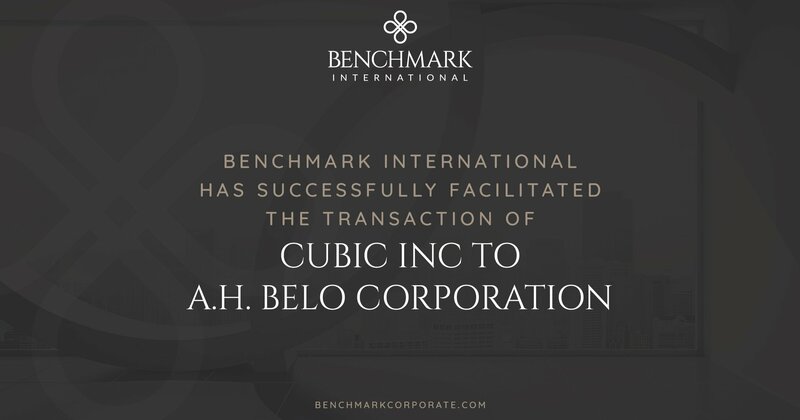 Benchmark International has successfully facilitated the sale of Cubic Inc., to A.H. Belo Corporation. Established in 2003, Cubic Inc., is a full-service creative agency that uses business intelligence, strategic insights and purposeful creativity to incite brand desire. The buyer, A.H. Belo Corporation, owns and manages several respected newspaper and media companies such as The Dallas Morning Times. For 16 years, Cubic Inc., has provided its fresh, innovative and non-traditional creative approach particularly towards community marketing and regional branding. Its agency services broadly include immersion & research, ideation & design, execution & production and media strategy & management. A.H. Belo Corporation is a recognized Dallas-based media company that owns newspapers in North Texas. Refinitiv has announced the findings of its annual Deal Makers Sentiment Survey conducted by Greenwich Associates – a survey which provides a quantitative assessment of M&A related and capital market activity in the year ahead. The survey has revealed that, despite market turbulence, reassurance has been offered in terms of M&A and capital market trends as the deal making professionals surveyed are cautiously optimistic for the year ahead. 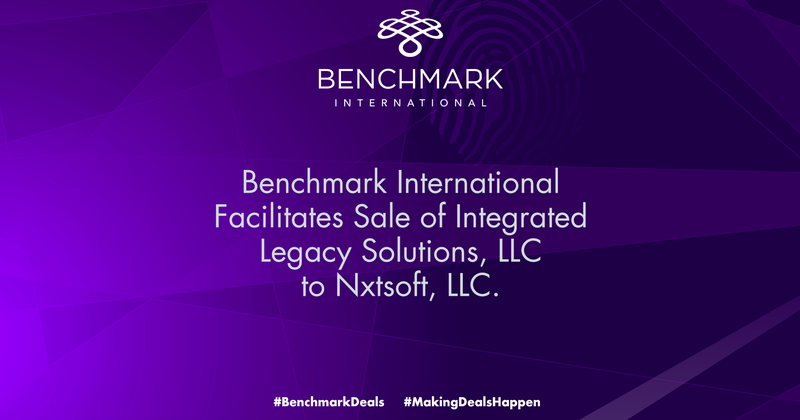 Benchmark International, has facilitated the sale of Integrated Legacy Solutions, LLC (“ILS”) to NXTsoft, LLC (“NXTsoft”). Benchmark International M&A specialist, Benchmark International, has facilitated the sale of Integrated Legacy Solutions, LLC (“ILS”) to NXTsoft, LLC (“NXTsoft”). Based in Trussville, Alabama, ILS offers image and data conversion migration technology for the financial services industry. The company specializes in data management through one of three methods: full data conversion into a new system, data migration into its flagship OmniView Browser™ or a blended approach that combines the two. NXTsoft, located in Birmingham, AL, is concentrated in risk management, including solutions in cybersecurity, compliance, and data analytics. Like ILS, several of NXTsoft’s portfolio companies also provide high quality software solutions serving financial institutions. NXTsoft is backed by a team with a 25-year track record of successful technology start-ups. 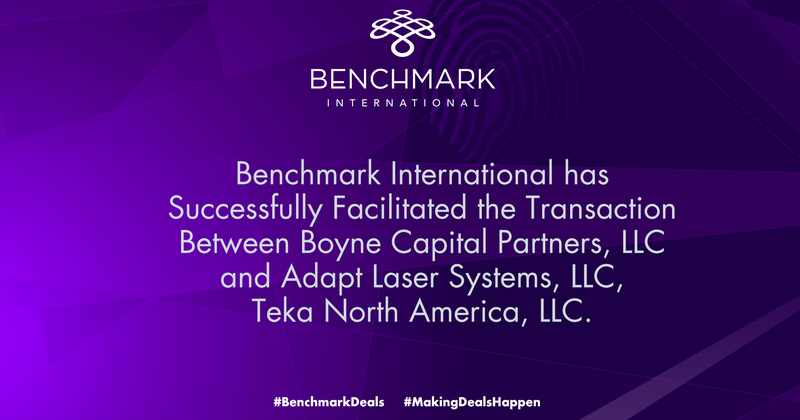 Benchmark International has successfully facilitated the sale of Adapt Laser Systems, LLC and Teka North America, LLC to Boyne Capital Partners, LLC. Boyne Capital is a Florida-based private equity firm focused on investments in lower middle market companies. Founded in 2006, Boyne has successfully invested in a broad range of industries, including healthcare services, consumer products, niche manufacturing, and business and financial services among others. Beyond financial resources, Boyne provides industry and operational expertise to its portfolio companies and partners with management to drive both company performance and growth. Boyne specializes in providing the capital necessary to fund corporate growth and facilitate owners and shareholders' partial or full exit. 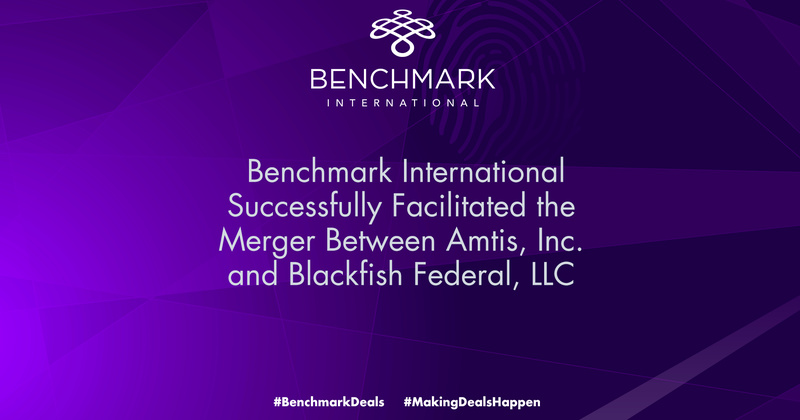 BENCHMARK INTERNATIONAL SUCCESSFULLY FACILITATED THE MERGER BETWEEN AMTIS, INC. AND BLACKFISH FEDERAL, LLC. Benchmark International has successfully facilitated the acquisition of AMTIS, Inc. by Blackfish Federal, LLC. AMTIS, Inc. (AMTIS) is a diversified government service company providing leadership development, executive coaching, strategic planning facilitation, training development, business processing and professional services for multiple Federal government agencies. BlackFish Federal, LLC (BlackFish), is an IT and healthcare solutions provider dedicated to helping solve its customers’ biggest business problems. Whether through applying innovative IT solutions or providing healthcare management support services, BlackFish consultants use their problem-solving skills to turn challenges into opportunities. “We’re very pleased to have recently completed the acquisition of AMTIS. Together, BlackFish and AMTIS create a strong strategic fit that will provide our customers a fully integrated leadership and professional services organization. Our overlap in customer base and services offered, accompanied by AMTIS' experienced management team and operational staff will create a seamless transition for each of AMTIS’ existing clients.” said Donald Jones, CEO of BlackFish. Benchmark International has advised on the transaction between roofing, cladding and façade company, Elite Facades, and private equity company, Acuity Management. Elite Facades specialises in all aspects of flat roofing, built-up composite and twin skin cladding systems for clients including BAM and Bouygues. The company is to operate as part of the larger Elite Facades Holdings, a newly-formed subsidiary of Gibraltar-headquartered Acuity, an alternative private equity fund that acquires equity ownership in SMEs via intelligent buyouts, where the acquired entity retains its independence. 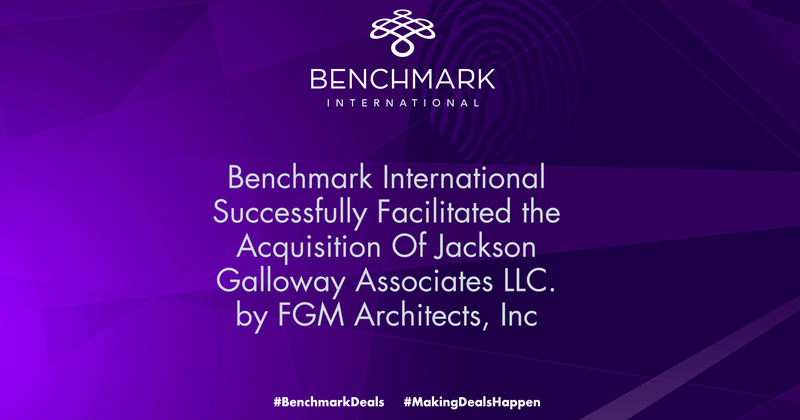 Benchmark International has successfully facilitated the acquisition of Jackson Galloway Associates, LLC to FGM Architects, Inc. 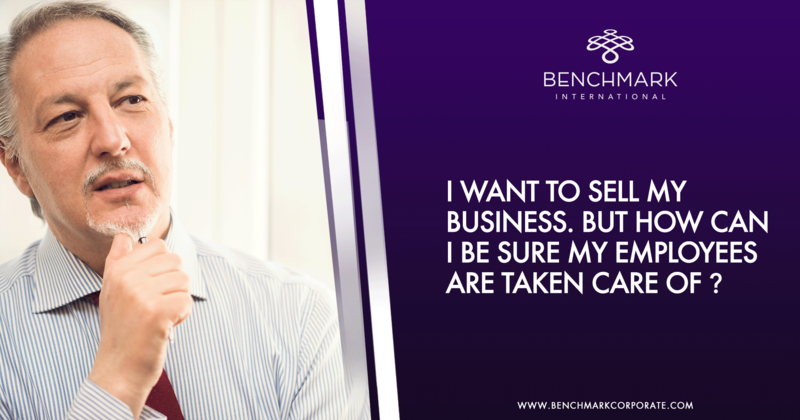 Benchmark International worked effectively with the sellers to ensure that their goals were met from a financials as well as cultural perspective. Jackson Galloway Associates, LLC is a highly-reputable firm that provides full-service architecture and interior design for the Texas market. The majority of their clients are churches, public and private schools, athletic facilities and non-profit organizations in the Texas market with a high focus in Austin, one of the fastest growing cities in the country. FGM Architects is a professional service firm with an emphasis on design and service. Since 1945, FGM Architects has specialized in the planning and design of environments for PK-12 Education, High Education, Municipal and Federal clients. They offer a unique combination of experience, talent and a collaborative design process. Benchmark International was able to procure for Jackson Galloway Associates a buyer that met their goals in regards to financial terms as well as cultural fit and an aligned vision in regards to their design capabilities. Benchmark International represented the sellers for over two years in a diligent effort to find the ideal buyer. 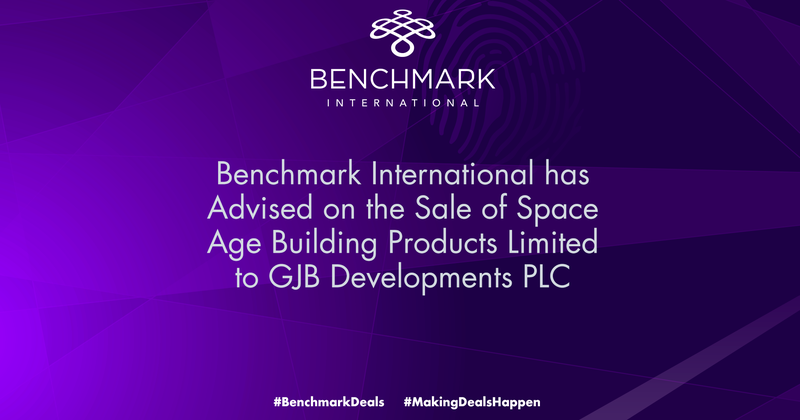 Benchmark International is pleased to announce the transaction between Reading-based Space Age Building Products (Space Age) and GJB Developments (T/A GJB Window Systems), based in Essex. Space Age is a wholesaler supplying plastic building products to trade and retail customers. The company supplies UPVC plastic fascia, guttering, windows, conservatories and associated plastic products. It additionally has a distribution network offering next day delivery to clients based in Berkshire, North Hampshire, South Oxford and Buckinghamshire. GJB Window Systems has been fabricating and supplying market-leading window and door systems for over 25 years from its on-site factory in Essex. 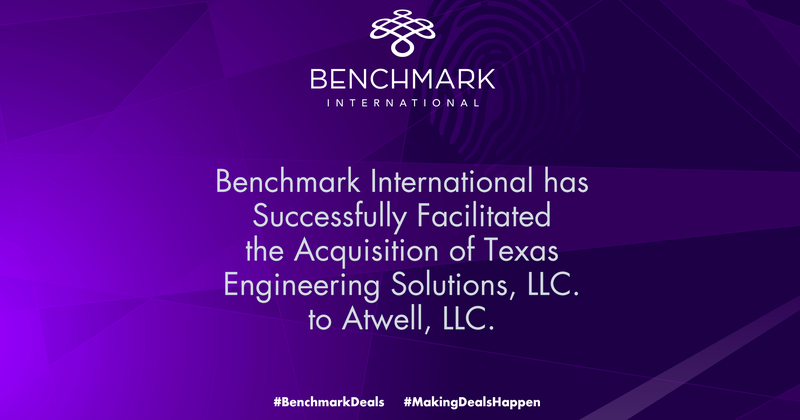 Benchmark International has successfully facilitated the acquisition of Texas Engineering Solutions, LLC to Atwell, LLC. Benchmark International has successfully facilitated the acquisition of Texas Engineering Solutions, LLC to Atwell, LLC. 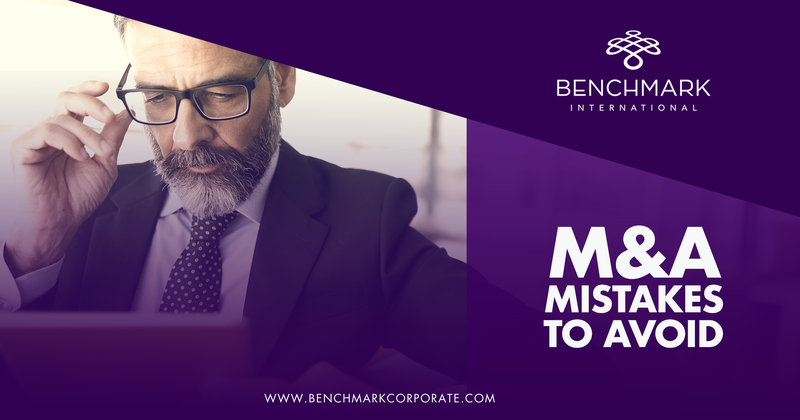 Benchmark International worked diligently to find a Buyer that was an ideal candidate to ensure the goals of the sellers from a financials and corporate fit perspective. Texas Engineering Solutions, LLC is a land development consulting firm providing a range of civil engineering, utility and infrastructure design, as well as planning and land development services in Central Texas. Benchmark International was able to procure for Texas Engineering Solutions, LLC a buyer that met their financial goals while also being an ideal cultural fit and providing the additional resources that the buyer was searching for. Benchmark International corresponded with numerous potential investors and the Owners of Texas Engineering Solutions had several in-person meetings until they met with the representatives from Atwell, LLC. 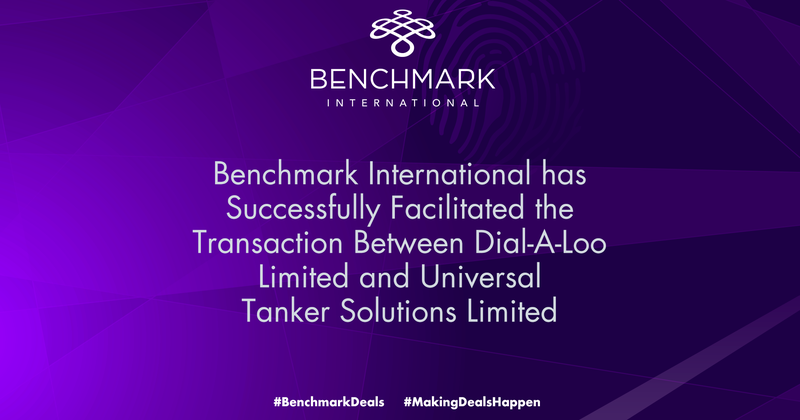 Benchmark International is pleased to announce the transaction between two water and waste water logistics firms – Dial-A-Loo and Universal Tanker Solutions. Based in Tyne & Wear, Dial-A-Loo has been operating for almost 30 years as a supplier of commercial and domestic water and wastewater logistics, alongside portable toilet hire, to clients across the North East that operate in the construction and shipbuilding sectors. Offering similar services to Dial-A-Loo, Universal Tanker Solutions provides a waste water removal and non-potable water delivery service to domestic, commercial and industrial clients. The merger and acquisition (M&A) process requires careful planning, professional support, and an understanding of the deal dynamics involved in the negotiations. Completing a transaction is not easy. Many sellers only do a transaction only once in a life time. Companies that have not been engaged in many M&A transactions frequently make mistakes that can result in a less favorable price or terms. They can even potentially destroy the deal. The UK is expected to be one of the most popular locations for deal activity in 2019, mirroring a successful year in 2018. Megadeals boosted the value of transactions in 2018 as, while the volume of UK deals only rose slightly, deals such as Japanese-based Takeda Pharmaceutical’s acquisition of UK-based Shire for £62bn saw a 4% increase in transaction value from £291bn the year before. Benchmark International has successfully advised on a deal between the group of Pellings companies (Pellings LLP, J & A Pellings and Pelling Limited) and RSK Group Limited, which marks RSK’s ninth acquisition in as many months as well as its largest acquisition to date. Pellings, a group of companies which provide a complete spectrum of architectural services, building surveying, project management and related professional services for housing, education and healthcare projects, have 125 staff and four offices covering North, West, South and Central London. RSK is an integrated environmental, engineering and technical services consultancy, which has 36 international offices, more than 2,700 employees and an annual turnover of £200m. It is currently actively investing in Europe, the Middle East, India, Africa and former Soviet Union countries, and has an active client base of 7,000 organisations spread across these regions. Is It Time To Sell My Business ? 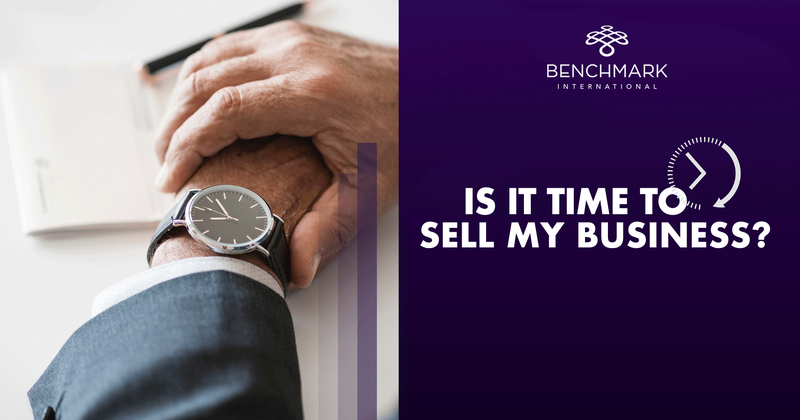 Determining whether it is a good time to sell your business is one of the most challenging decisions a business owner has to make. There are innumerable factors that affect this decision and it’s important to not get overwhelmed. A few things to take into account are financial situation, the company’s future/outlook, the opportunity cost of time, and the type of deal structure being pursued. 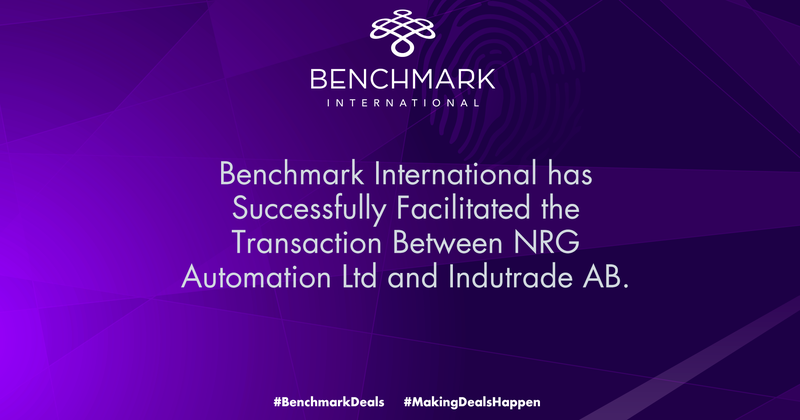 Benchmark International has advised on the transaction between NRG, a supplier of motors and controls for gates and barriers, to Indutrade. NRG is a specialist supplier of drives, motors and controls for industrial, commercial and residential doors and shutters, also offering a range of gate and barrier automation. Customers are manufacturers and installation contractors of doors, shutters and gates in the UK and Ireland. 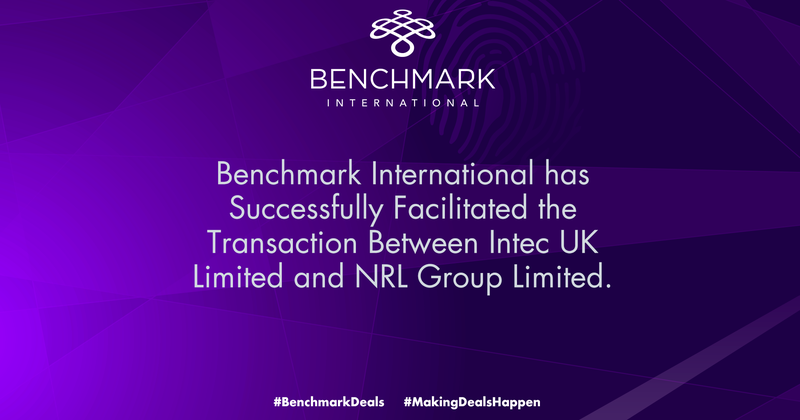 Benchmark International has successfully facilitated the transaction between Intec UK, a specialist recruitment business in the energy and power sector, to NRL Group, a recruitment company with a c£170M turnover. Intec has more than 35 years' experience, placing both temporary and permanent candidates with an engineering and technical skillset in various industries, offering a full complement of recruitment services. I Want to Sell My Business. But How Can I Be Sure My Employees Are Taken Care Of? 1.) Will the employees be keeping their jobs? 2.) Will the employees be keeping their same level of compensation? 3.) How will the insurance benefits change, if at all? 4.) How will our company culture change – do we still have team building events planned every quarter and holiday bonuses we can count on? The answers to these questions can go a long way in determining whether a buyer is the perfect fit for a business, outside of the fundamental valuation and transaction structure. Mergers and acquisitions are complicated endeavors, involving an incredible amount of work and attention to detail. While in the midst of an acquisition, HR Departments are the group tasked with managing perhaps the most valuable part of a company – the human capital. Granted, some aspects of the transaction are unavoidable, including the letting go of employees in an underperforming division or in a role that will be redundant within the acquirer’s organization. But, if both buyer and seller can get on the same page and formulate a plan for informing the employees of a change, this will ease the transition and mitigate the fear of the unknown. Now, to address the first question that will come to an employee’s mind upon finding out their firm is being acquired – am I going to keep my job? In the vast majority of transactions, employees will retain their roles and often times an acquisition can be an opportunity for upward mobility within a larger organization. Timing will be of the utmost importance when it comes to making any type of announcement regarding an employee’s employment status, whether positive or negative. One hurdle to avoid at all costs is raising alarms unnecessarily. In order to avoid this complication, it’s best to announce a merger or acquisition upon execution of a Definitive Purchase Agreement and the transfer of funds. This ensures that the deal is closed and official and will eliminate the risk of pulling the rug out from under the employees of a recently acquired company. Beyond the importance of staying employed and maintaining the current level of earnings, individual employees will also be concerned with their benefits package and whether the buyer offers a more compelling insurance package or one that could be considered a down grade. In any event, being completely transparent about the pros and cons of the new benefits package will be important in mitigating the fear associated with change. A buyer who makes themselves available to answer questions that are both qualitative and quantitative in nature will be able to ensure a smoother transition. This would include providing feedback mechanisms such as one-on-one interviews, focus groups and anonymous surveys. In most cases, there is not a need to turn everything upside down immediately – buyers should not expect for all the new employees to join their new health insurance plan immediately, buyers should also consider letting the new employees keep their old PTO until the end of the year, if a new employees has already reserved PTO, a buyer can still honor that time and garner a little morale. Ultimately, communication will be key - giving employees an opportunity to feel seen and heard will give them the sense of feeling valued by their new employers. Additionally, this will bring a level of comfort to the seller that those individuals who helped them achieve success will continue to be taken care of and that the culture of a company that takes years to create will remain intact and continue to permeate throughout the new company. 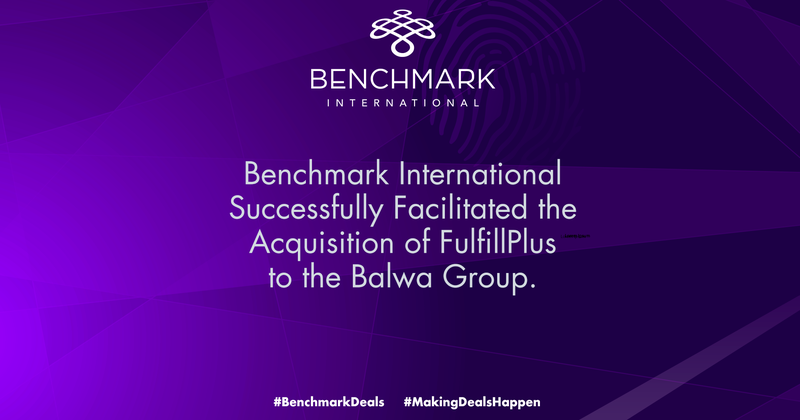 Benchmark International has successfully facilitated the acquisition of FullfillPlus, Inc to The Balwa Group. 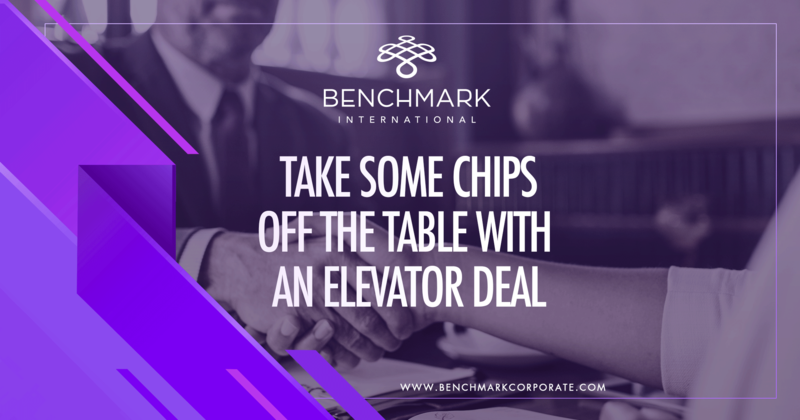 Benchmark International worked diligently to find a Buyer that was a good cultural fit for the business and would allow for the owners of FulfillPlus, Inc to achieve their personal and professional goals. FulfillPlus, Inc is offers a wide range of fulfillment, warehousing, order processing, kitting, assembly and shipping services tailored to meet their client’s exact marketing needs. They are a single source supplier for all services related to delivering client’s products to their clients in a timely and cost efficient manner. Centrally located on the Gulf Coast, near the Port of Houston, they are ideally situated to handle large and small clients that manufacture in the United States or import products from as far away as China and India to reach their clients efficiently. The Balwa Group is a company with investment holdings in diverse market segments including hospitality, real estate development and manufacturing. With a large international presence, the firm was looking to diversify their holdings in both market segment and geography and had a particular interest in the logistics business. FulfillPlus, the Seller and Balwa Group, the Buyer, pictured together. Benchmark International was able to procure for FulfillPlus, Inc a buyer that met their financial goals while also being an ideal cultural fit. Benchmark International corresponded with numerous potential buyers and the owners of FulfillPlus, Inc had several in-person meetings and offers to choose from however once they had the opportunity to meet with the representatives from The Balwa Group, both parties knew immediately that FulfillPlus would be a great fit for both. Michele & I would like to thank you for the great job your entire team did helping us sell our company. We selected Benchmark because of the professionalism shown by all of your representatives as well as the breadth and scope of your company. Being the founder of this business, it wasn’t easy for me to decide to sell it. We had been so focused on running the company for so many years, dealing with day to day issues, we never had time to even think about selling, and I wasn’t quite sure I really wanted to. But we knew we needed some sort of exit strategy for retirement and decided to at least sit down and review the process with your team. Your team answered all of our concerns and made us feel comfortable enough to initiate the selling process. You re-affirmed to me that it would be my decision on who we sell to and there is no time limit on finding the right buyer. I was skeptical, but after going through the process, I now know its 100% true. You didn’t pressure us to make decisions and focused your efforts on guiding us through the valuation and sales process at our pace. Nowhere along the way did we feel that you were pressuring us for time or a quick decision. When it came to meeting prospective buyers, you allowed us to review each prospective buyer’s background before they were allowed to see our financials or meet us. You let us meet (on the phone & in person) with each buyer on our own, then scheduled calls to review the meetings and get our feedback on each prospective buyer. When offers were made, you offered insights into buyer tendencies and how we should respond. It was truly a team effort. We are now 2 weeks past the closing date and have been working day to day with the new owners. We feel we made the right decision and are now finding ourselves looking at golf course communities around the country trying to decide where we eventually want to retire. We’re looking at Anthem, Arizona, Palm Spring, Ca, San Antonio, Tx (Hill country), Austin, Tx, and Greensboro, Ga (Lake Oconee). All areas with beautiful homes and golf communities. In arriving at a valuation for their business, many managers come across the term EBITDA. For some this term is Greek and for others it’s a term they vaguely remember being mentioned during their days in business school. For many business owners it’s a completely new term, with no context, and why it is important is a complete mystery to them. But to buyers, EBITDA seems to be an incredibly important term. So what is EBITDA? To begin let’s spell out the acronym. EBITDA stands for “Earnings before Interest, Taxes, Depreciation and Amortization,” that is, a company’s earnings before items which can be disassociated from the day to day operations of the business. 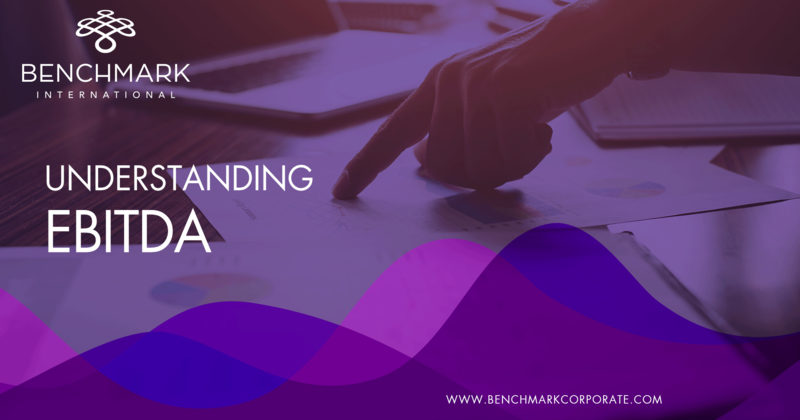 EBITDA is therefore a measure of the financial strength of the business, and presents a proxy for the total cash flow which a potential buyer could expect to garner from the purchase of your business. Let’s break down each part of the acronym, beginning with Earnings. In the case of your business, Earnings is represented by the bottom line income, what is labeled “Ordinary Business Income,” on your tax returns. This is the number arrived at by subtracting all expenses from Revenues and adding or subtracting any additional cost or income. Distributions and dividends are items which occur after “Earnings” is calculated and are therefore not included in this equation. Interest payments are associated with debt that the company currently holds. Those interest payments whether they are on a Line of Credit to the local bank or for outstanding debt the company has taken on to purchase machinery or warehouse space, will likely be in some way included into the sales price of your business. Meaning, that when a new owner takes over operations, or comes on board to help grow your business, the business will be starting fresh. From the time of the sale going forward the new owners can expect all of the money previously paid to the bank, to flow through to bottom line earnings instead. For this reason, in valuing your company it is important to add back interest payments to your bottom line earnings. Next, we arrive at taxes. Each and every business pays taxes, but the amount is variable by state and subject to current legislation. For that reason, we add back some, but not all taxes to your bottom line profits. In most cases the only tax added back will be your Franchise Taxes. Franchise Taxes are those taxes charged by a state to a company, as the cost of a business in that state. The tax varies based on the size of the business and the state in which the business is incorporated. Because a company may be incorporated in a different state, or the size of the business may drastically change after an acquisition, these taxes are therefore variable and not a reflection on the business’ earnings. Depreciation is a fancy accounting term for something we all know. The amount of value your car loses the moment you drive it off the lot, is the most common form of depreciation we deal with during our lives. Say you purchased new machinery ten years ago, and it is still running and in good condition, humming along each day spitting out all the widgets you can sell. But your accountant may send you tax returns each year saying your machine is worth less and less. This amount that gets deducted by your accountant isn’t an actual amount of cash leaving your business, but it decreases your bottom line earnings. For this reason, we add depreciation back, to put back into your bottom line, an amount which was taken out on paper, but not out of your company’s checking account. An additional note, as we are dealing with your company’s Profit and Loss statement, we ignore the total amount of accumulated depreciation which is shown on your Balance Sheet, in order to capture the expense associated only with one accounting period. Amortization is Depreciations baby brother. If you purchased a business ten years ago, you may have paid more for that company than what it was worth at that very moment based on the amount of assets and business you were garnering by purchasing that company and its clients. Let’s say that the business you bought was worth one million dollars, but you figured that the business’ client list and trademark was worth an additional half million dollars to you over the long run, and so you paid one point five million dollars for the business. This additional half million dollars is sometimes referred to as “good will”. It’s a value which can be reflected on paper and then turned into cash over a period of time. Just like your new car though, each year your accountant is going to take some part of this half million dollars and subtract it from your profits before he or she arrives at your bottom line net income. Since this number is an adjustment made on paper, just like depreciation, adding it back gives a better picture of the amount of cash flowing through your business. In sum, each of these components of EBITDA combine to create a clearer picture of your company’s true value to potential buyers, and is therefore something buyers are particularly interested in. In order to understand Adjustments to EBITDA please see my coworker Austin Pakola’s piece on adjustments to EBIDA. The Mergers and Acquisitions (M&A) process is exhausting. For most sellers, it’s a one-time experience like no other and a marathon business event. When done well, the process begins far in advance of the daunting “due diligence” phase and ends well beyond deal completion. This Seller’s guide summarizes key, and often overlooked, steps in a successful M&A process. Phase I: Preparation – Tidy Up and Create Your Dream Team. Of course, our own kids are the best and brightest, and bring us great pride and joy. Business owners tend to be just as proud of the company they’ve built, the success of their creation, and the uniqueness of their offering. Sometimes this can cloud an objective view of opportunities for improvement that will drive incremental value in a M&A transaction. For starters, sellers must ensure that company financial statements are in order. Few things scare off buyers or devalue a business more than sloppy financials. A buyer’s Quality of Earnings review during due diligence is the wrong time to identify common issues such as inconsistent application of the matching principle, classifying costs as capital vs. expense, improper accrual accounting, or unsubstantiated entries. In addition, the ability to quickly produce detailed reports – income statement; balance sheet; supplier, customer, product, and service line details; aging reports; certificates and licenses; and cost details – will not only drive up buyer confidence and valuations, but also streamline the overall process. Key in accomplishing the items above as well as a successful transaction is having the right team in place. Customarily, this doesn’t involve a seller’s internal team as much as his or her outside trusted advisors and subject matter experts. These include a great CFO or accountant, a sell-side M&A broker, a M&A attorney, and a tax and wealth manager. There are countless stories of disappointed sellers who regretted consummating a less-than-favorable transaction after “doing it on their own.” The fees paid to these outside subject matter experts is generally a small part of the overall transaction value and pays for itself in transaction efficiency and improved deal economics. Phase II: On Market – Sell It! Most importantly, sellers need to ensure their business delivers excellent financial performance during this time, another certain make-or-break criterion for a strong valuation and deal completion. In fact, many purchase price values are tied directly to the company’s trailing 12-month (TTM) performance at or near the time of close. For a seller, it can feel like having two full time jobs, simultaneously managing record company results and the M&A process, which is precisely why sellers should have a quality M&A broker by their side. During the sale process, which usually takes at least several months, valuations are directly impacted, up or down, based on the company’s TTM performance. And, given that valuations are typically based on a multiple of earnings, each dollar change in company earnings can have a 5 or 10 dollar change in valuation. At a minimum, sellers should run their business in the “normal course”, as if they weren’t contemplating a sale. The best outcomes are achieved when company performance is strong and sellers sprint through the finish line. Phase III: Due Diligence – Time Kills Deals! Once an offer is received, successfully negotiated with the help of an advisor, and accepted, due diligence begins. While the bulk of the cost for this phase is borne by the buyer, the effort is equally shared by both sides. It’s best to think of this phase as a series of sprints and remember the all-important M&A adage, “time kills deals!” Time kills deals because it introduces risk: business performance risk, buyer financing, budget, or portfolio risk, market risk, customer demand and supplier performance risks, litigation risk, employee retention risk, and so on. Once an offer is received and both sides wish to consummate a transaction, it especially behooves the seller to speed through this process as quickly as possible and avoid becoming a statistic in failed M&A deals. The first sprint involves populating a virtual data room with the requested data, reports, and files that a buyer needs in order to conduct due diligence. The data request can seem daunting and may include over 100 items. Preparation in the first phase will come in handy here, as will assistance from the seller’s support team. The M&A broker is especially key in supporting, managing, and prioritizing items for the data room – based on the buyer’s due diligence sequence – and keeping all parties aligned and on track. The second sprint requires excellent responsiveness by the seller. As the buyer reviews data and conducts analysis, questions will arise. Immediately addressing these questions keeps the process on track and avoids raising concerns. This phase likely also includes site visits by the buyer and third parties for on-site financial and environmental reviews, and property appraisals. They should be scheduled and completed without delay. The third and final due diligence sprint involves negotiating the final purchase contract and supporting schedules, exhibits, and agreements; also known as “turning documents.” The seller’s M&A attorney is key in this phase. This is not the time for a generalist attorney or one that specializes in litigation, patent law, family law, or corporate law, or happens to be a friend of the family. Skilled M&A attorneys, like medical specialists, specialize in successfully completing M&A transactions on behalf of their clients. Their familiarity with M&A contracts and supporting documents, market norms, and skill in selecting and negotiating the right deal points, is the best insurance for a seller seeking a clean transaction with lasting success. Phase IV: Post Sale – You’ve Got One Shot. Whether a seller’s passion post-sale is continuing to grow the business, retire, travel, support charity, or a combination of these, once again, preparation is key. Unfortunately, many sellers don’t think about wealth management soon enough. A wealth advisor can and should provide input throughout the M&A process. Up front, they can assist in determining valuations needed to achieve the seller’s long-term goals. When negotiating offers and during due diligence, they encourage deal structures that optimize the seller’s cash flow and tax position. And post-close, sellers will greatly benefit from wealth management strategies, cash flow optimization, wealth transfer, investment strategies, and strategic philanthropy. Proper planning for post-sale success must start early and it takes time; and, it’s critical to have the right team of experienced professionals in place. 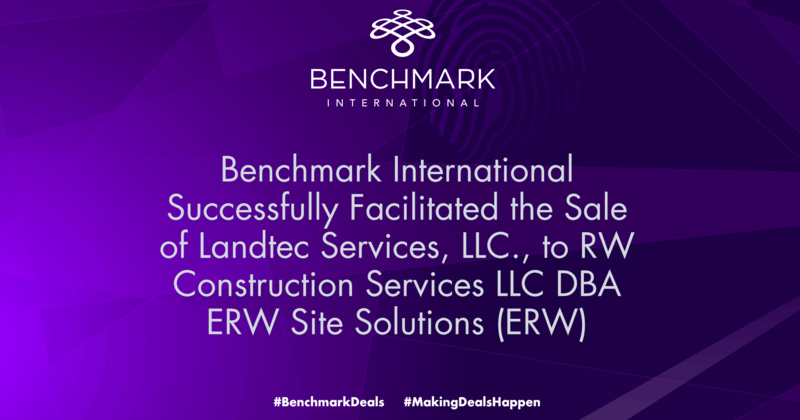 Benchmark International has successfully facilitated the sale of Landtec Services, LLC., to RW Construction Services LLC DBA ERW Site Solutions (ERW). Landtec Services, LLC., is an Austin, Texas-based business that provides commercial landscaping services to the Central Texas market. It provides a turn-key solution that includes the installation of landscape, irrigation, hardscape and retaining walls, and property maintenance. ERW Site Solutions (ERW) specializes in building retaining walls and providing job site services such as fine grading, hardscapes, monuments, job site cleanup, and slope protection & erosion control. ERW offers unmatched quality of service at prices other subcontractors can rarely beat while utilizing state of the art equipment and technology. 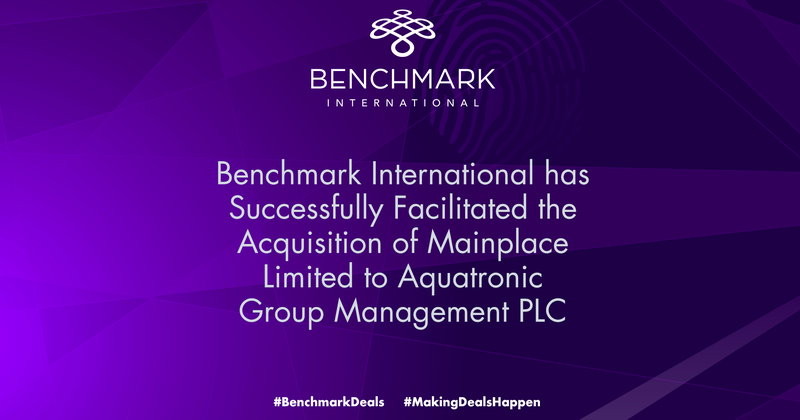 Benchmark International is delighted to announce the sale of Southampton-based electromechanical engineer Mainplace, to Aquatronic Group Management (AGM). Mainplace specialises in the distribution, installation and servicing of pumping equipment for a variety of clients operating in the commercial, industrial and retail sectors. 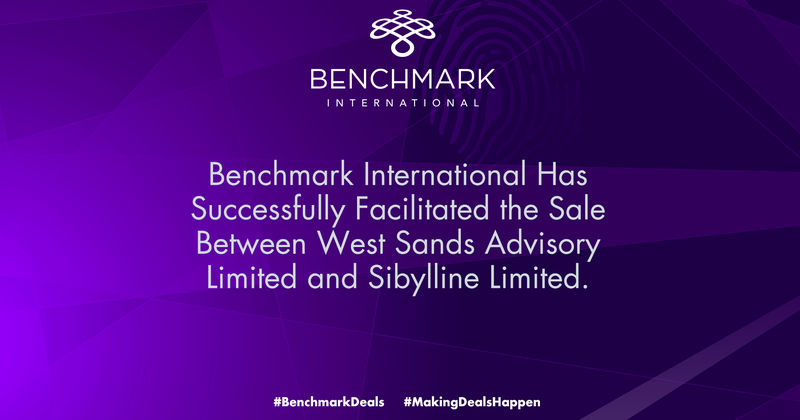 Benchmark International is delighted to announce the sale of West Sands Advisory to Sibylline. Established in 2006, West Sands Advisory is a strategic intelligence and advisory firm that helps clients confidently navigate complex markets and commercial situations. It is a leading supplier of market entry, expansion and risk mitigation services with a particular focus on understanding and communicating the connection between politics, crime and business in emerging markets. The company is an ideal partner to Sibylline, as a strategic risk and threat advisory firm that supports businesses, governments and NGOs through high quality risk and due diligence services. West Sands Advisory, therefore, adds significant expertise to Sibylline’s operations, as well as helps to increase its core geopolitical insight through its expanded and highly connected global network. Benchmark International is pleased to announce it has facilitated a sale between test equipment specialist, Acute Sales, and distributor of electrical products, Newbury Investments. Acute Sales is the largest independent distributor of test equipment to UK electrical utility companies, specialising in the supply, repair and calibration of hand-held and portable electrical, high voltage, gas and environmental test instruments. It is also a provider of industry accredited electrical and health & safety training courses. As Newbury Investments is a diversified group of companies supplying electrical products, the acquisition enables it to cross-sell Acute Sales’ products into its existing client bases. 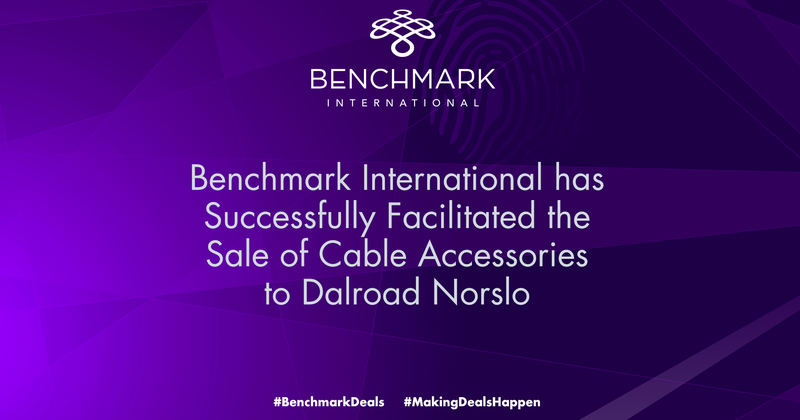 Benchmark International is delighted to announce the sale of Cable Accessories, based in Suffolk, to Dalroad Norslo, a Bedfordshire distributor of automation components. Founded in 2001, Cable Accessories was set up to distribute products made by electrical parts maker Grote & Hartmann after the closure of its UK manufacturing facility. It was originally based in St Albans but moved to Leiston in December 2006. Benchmark International is pleased to announce the acquisition of Orange & Gold by Milestone Partners for an undisclosed sum, the company’s second acquisition within the accountancy sector in as many months. 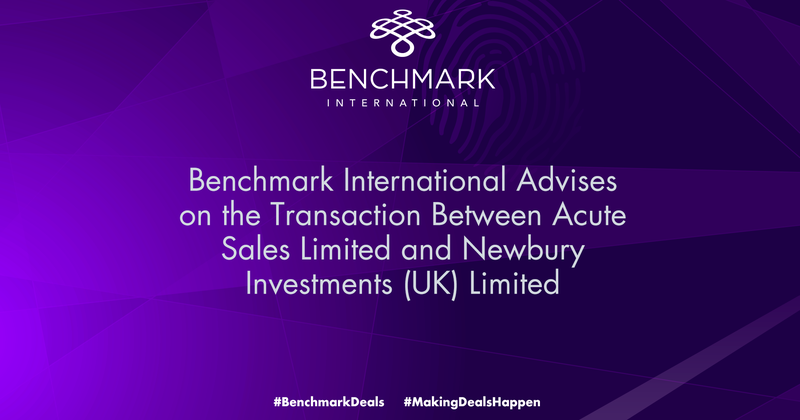 As was the case with Milestone Partner’s previous acquisition, Benchmark International acted on behalf of the buyer to source acquisition opportunities adhering to Milestone Partner’s set criteria.